Welcome to Card Services, your one stop shop for all things related to your UCF Card. Here, we will show you how to add money to your Knight Cash account, where to use your card on campus and all the other tips and tricks that will make your time at UCF a pleasurable experience. Explore all of the exciting and amazing things the University of Central Florida has to offer. Get involved today! Want to check your Knight Cash balance or add more money to your account? Learn about all of the features of Knight Cash. 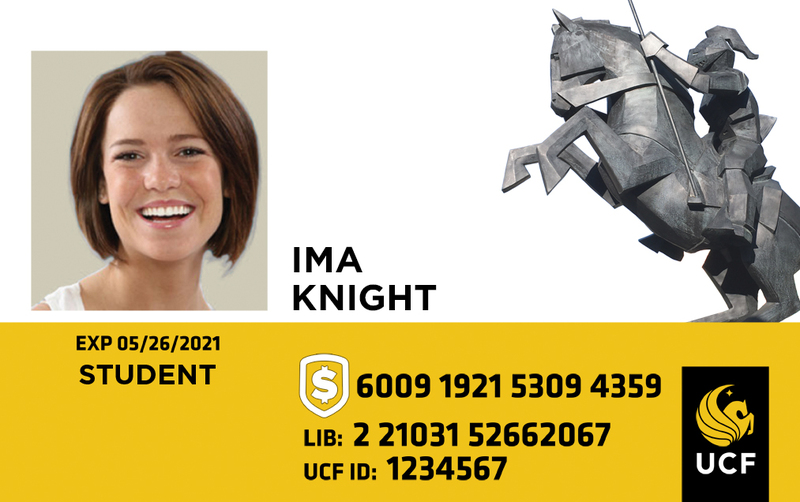 You may obtain your UCF Card at Card Services, UCF Connect Centers, or by mail. Knight Cash is now accepted at ALL vending machines! Knight Cash payment accepted at all Coca-Cola and Gilly vending machines. Learn about the features associated with your UCF Card! Gain easy access to academic, social and financial resources! Keep up to date with UCF Events! Card Services is now mobile friendly!